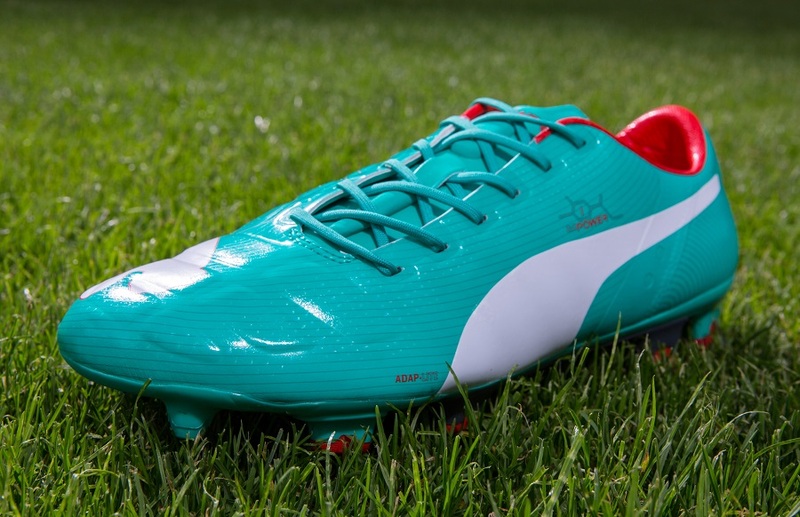 Whatever about the colorway of this latest Puma evoPOWER 1 release, the naming convention sits on a level all of its own. 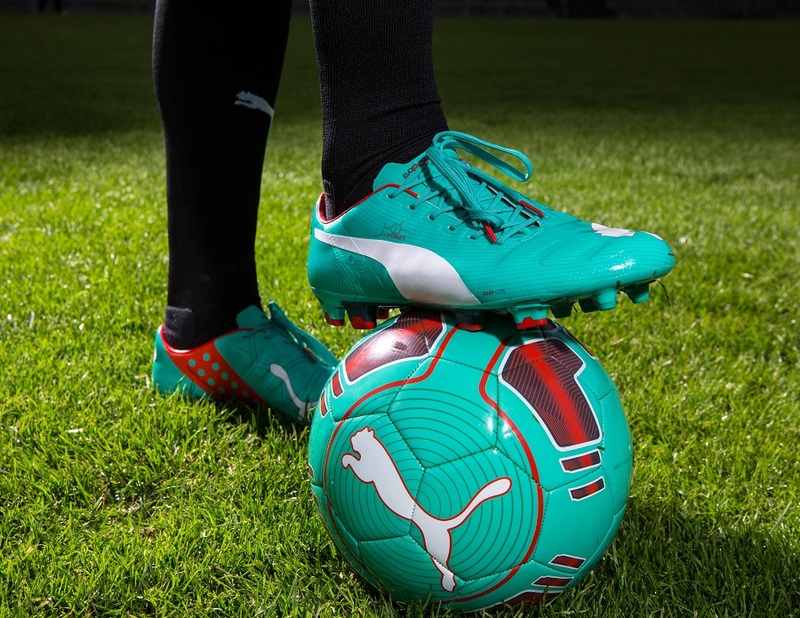 Officially labelled as Pool Green/White/Grenadine, Puma has unleashed another visually striking boot that is sure to appeal to fast paced players out there. Cesc Fabregas was the first to exclusively wear them this past weekend. All other evoPOWER players including Mario Balotelli, Diego Godìn, Nemanja Matic and Dante will be following Fabregas’ lead this week. The evoPOWER boot takes its inspiration from the natural flex movement of a human barefoot when kicking a ball, and allows the player to bend the foot almost naturally. Designed to enhance the true shooting ability through a clean kicking surface and a spine in the outsole that allows the foot to move more freely, it enables the player to shoot with maximum power and accuracy. There is a lot going on technology speak going on with these, and it all starts with gradual support system (GSF) that helps with soleplate stiffness, a special Adap-Lite synthetic that stretches vertically to help with power and Accu-Foam inserts in the upper to help with striking the ball. There is also an EverFit Cage to help support the boot and keep its shape over time. Basically, all the technology is designed to add power to your shots. The special synthetic and soleplate helps your foot bend in a vertical direction. And the special inserts help create a better strike zone for your shots. The material gives you a really clean surface, and it gives you confidence to strike the ball with full power. 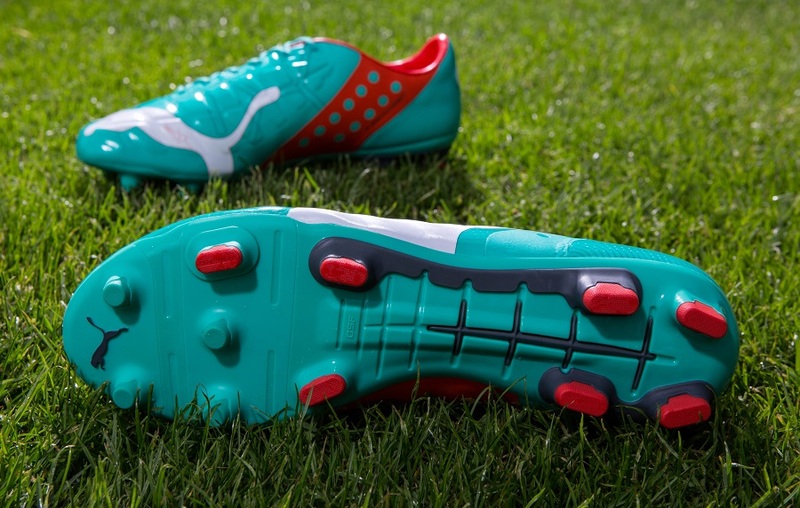 This latest colorway can be found for $199.99 at Soccer.com. What are your thoughts on this new colorway? Let us know in the comments below or find us on Facebook and Twitter. These look great. 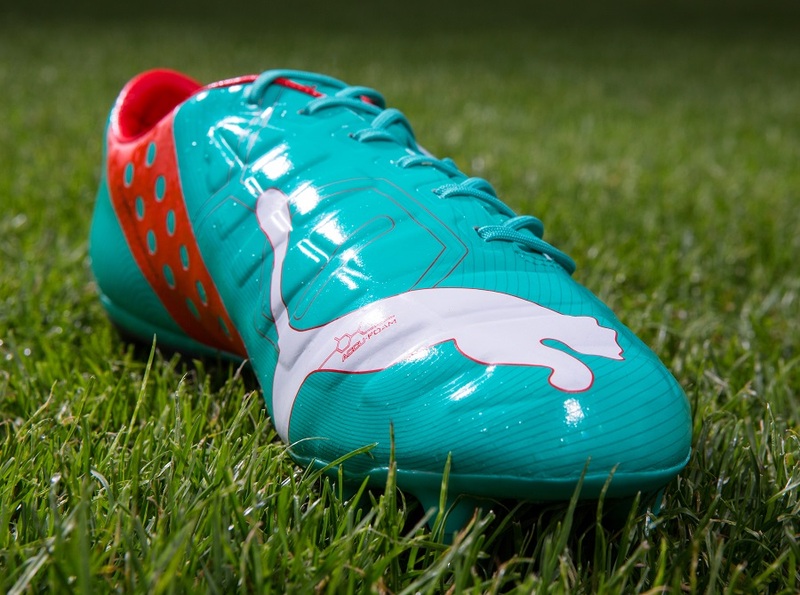 Bryan, why isn't Puma pushing more color ways with this boot? It seems very popular — I love them — but the total amount of colorways for a Silo boot that should contend for boot of the year. It just seems like the boot isn't being pushed like the new sios from ADI or NIKE. 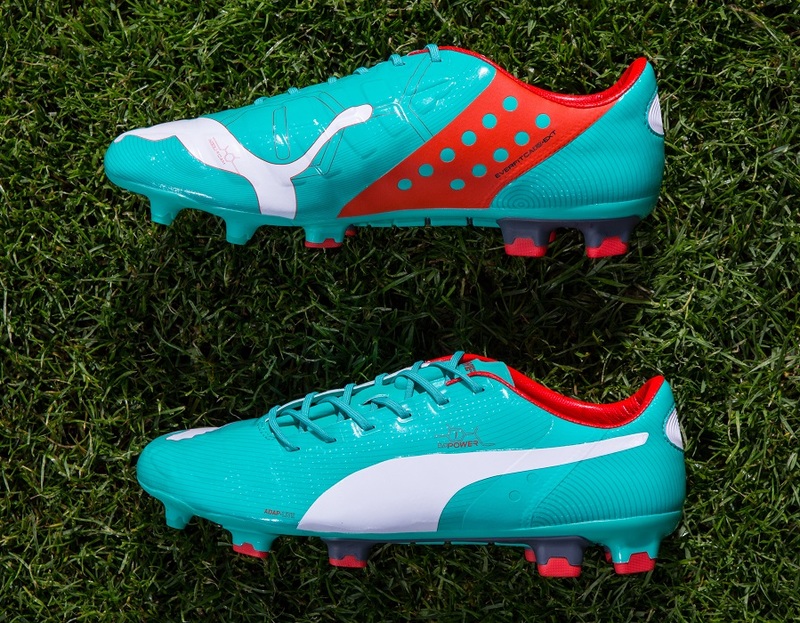 Is this just a case of Puma being a distant third?